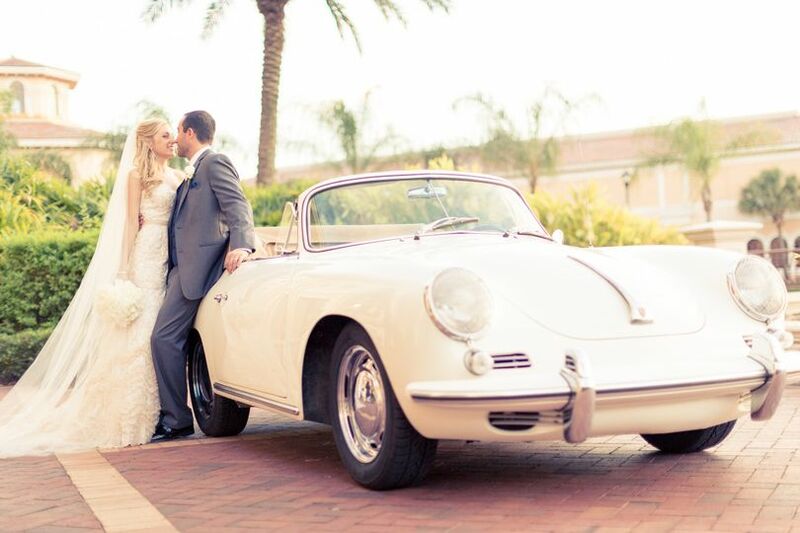 Rosen Shingle Creek is a classic wedding venue in an unforgettable setting in Orlando. 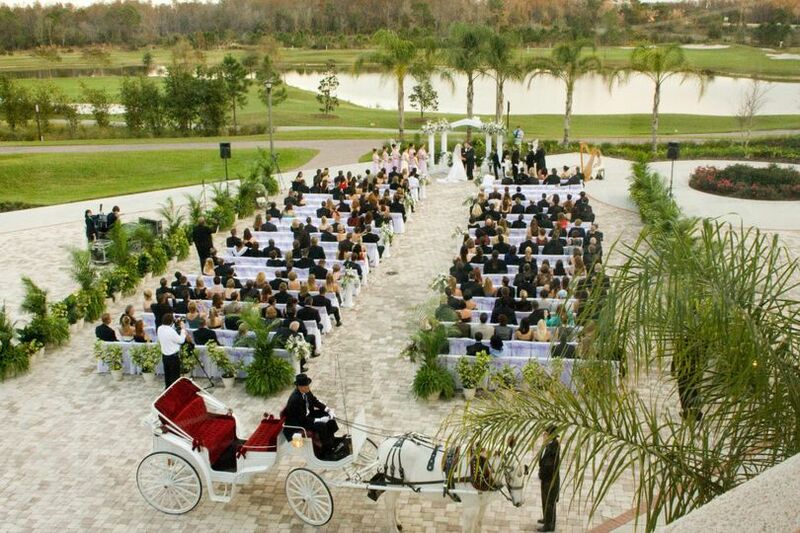 Undeniably luxurious, this venue boasts 255 acres of lush landscape and Orlando's only two-story ballroom. 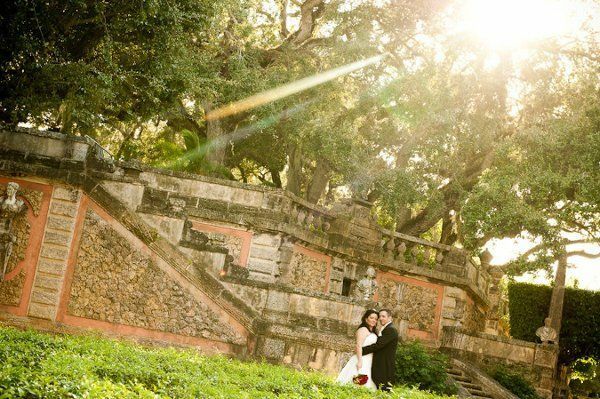 Stunning on-site event spaces offer picturesque settings for everything from intimate rehearsal dinners to extravagant receptions. 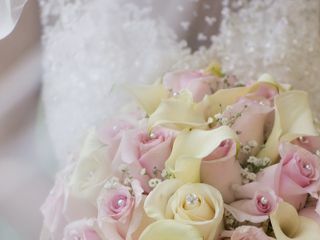 With impeccable planning services, innovative cuisine from master chefs and a variety of activities for your entire bridal party and guests, Rosen Shingle Creek is a beautiful place to share your vows. Choose from a variety of distinctive and awe-inspiring indoor and outdoor ceremony and reception spaces at Rosen Shingle Creek. 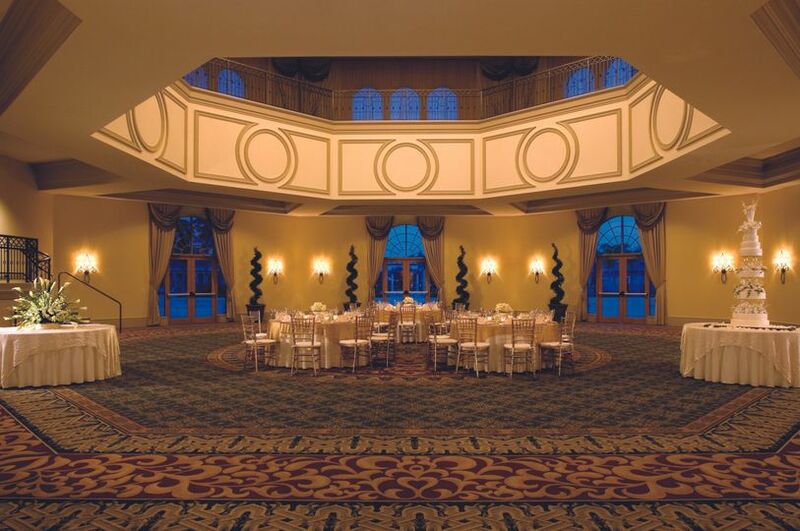 Their spaces can accommodate any design, from an intimate ceremony to a grand, luxurious event. 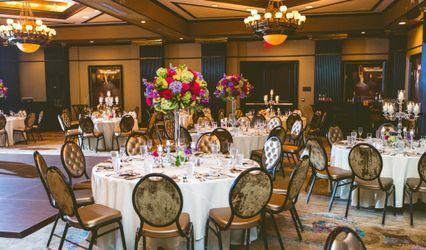 From a rehearsal dinner at one of Rosen Shingle Creek's four AAA Four Diamond restaurants to a breakfast buffet the morning after, the venue offers an extensive collection of dining options to satisfy your guests throughout your wedding weekend. All dinner packages include a private cake and menu tasting and beverage package. 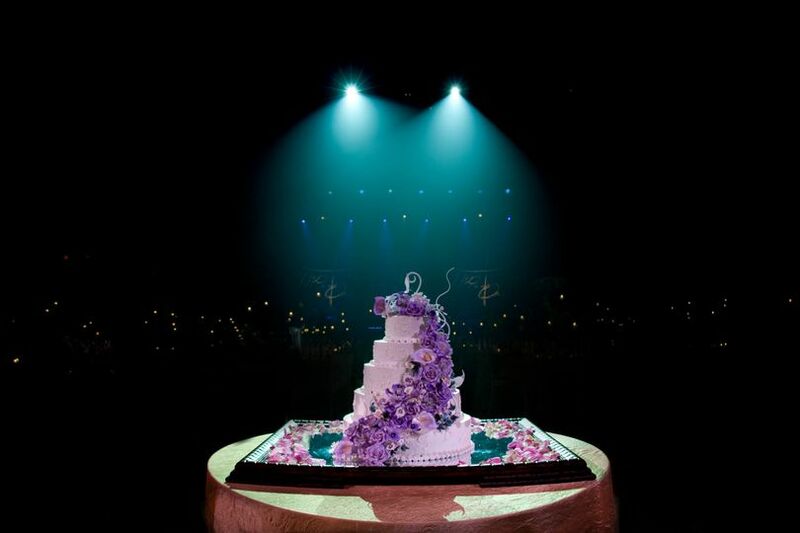 Their world-renowned Executive Pastry Chef David Ramirez and culinary team will create your dream wedding cake, included in many wedding packages. 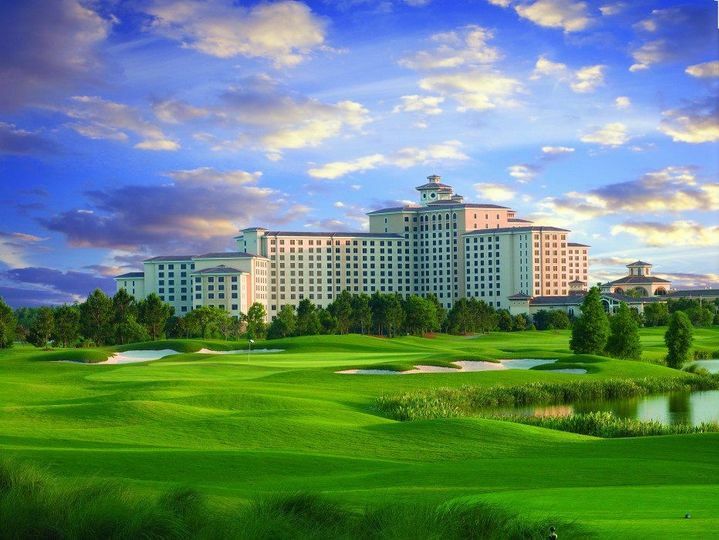 Rosen Shingle Creek provides 1,501 luxurious guestrooms and suites with stunning views of the surrounding championship golf course, 15 restaurants and lounges, four seasonally heated pools, two hot tubs and an award-winning spa. Activities available on the property include tennis courts, sand volleyball, basketball and a nature trail. In addition to wedding ceremonies and receptions, Rosen Shingle Creek can accommodate all of your wedding events, such as engagement parties, bridal showers and rehearsal dinners. This venue is also ideal for hosting corporate meetings, holiday parties, birthdays, anniversaries and other special occasions. 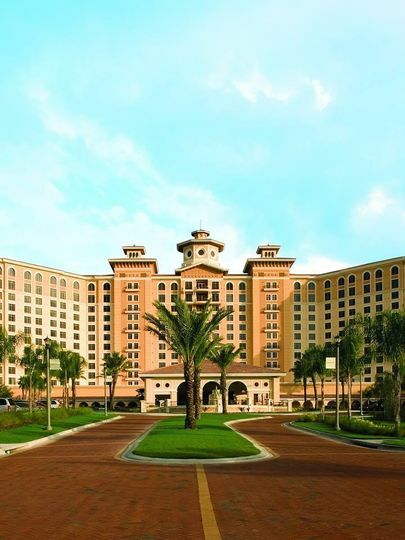 Rosen Shingle Creek is conveniently located on Universal Boulevard, east of the Orange County Convention Center. This venue is just minutes away from the Orlando International Airport and Orlando's world-famous theme parks, attractions, restaurants, shopping and entertainment venues. 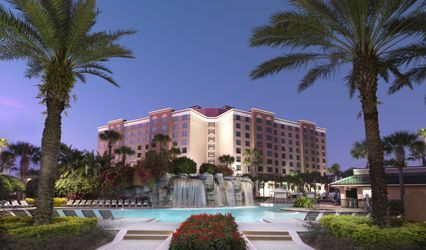 Rosen Shingle Creek was beautiful, convenient, and wonderful! Everyone at Shingle Creek were so easy to work with and were very accommodating. Our guests were so impressed with the resort as a whole, and they kept coming up to us telling us how they loved the hotel. Wonderful team! Excellent service. Delicious food. Would highly recommend Rosen Shingle Creek for your wedding. Thank you very much for the review. 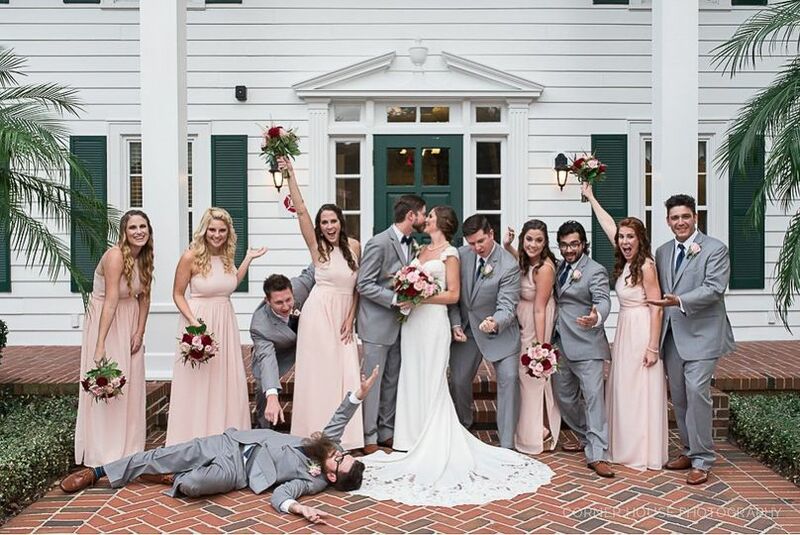 We are so happy that your ceremony and reception went well while visiting us! Have a fantastic day. Hope to see you in a year on your anniversary. They were AWESOME and I would recommend anyone who is looking for a venue to get married to Rosen Shingle Creek! They made everything flow very easily and it was beautiful! 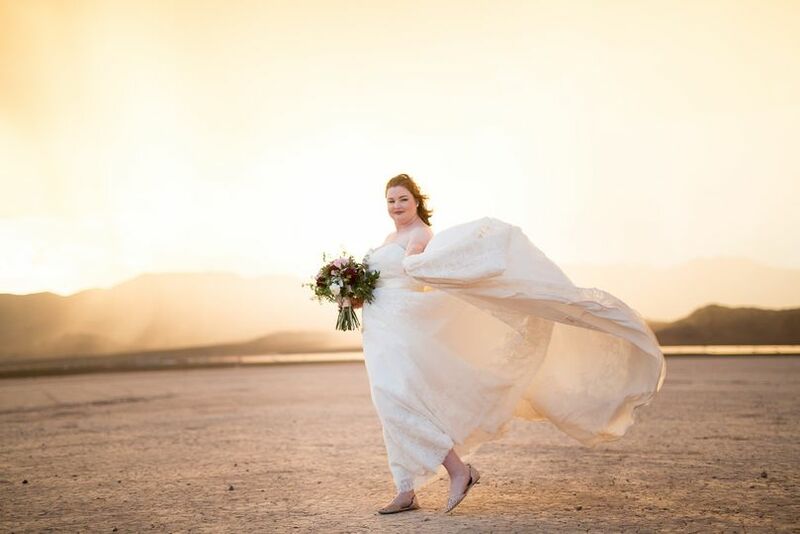 It is only easy and beautiful because we get to work with such wonderful brides like you, Jessica! Thanks for the kind words! 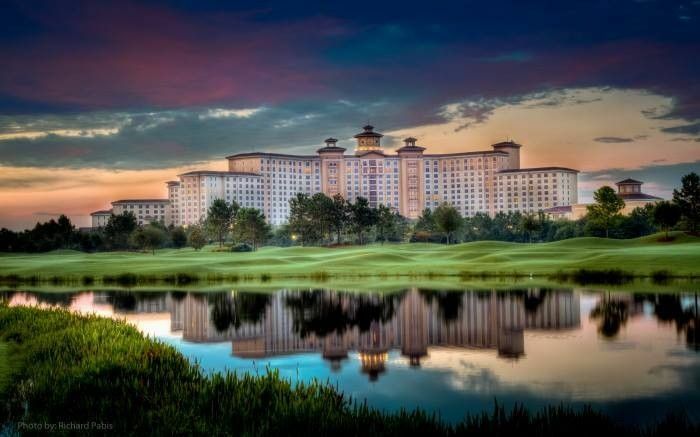 Rosen Shingle Creek continues to be my top hotel recommendation for my clients because of their hospitality, gorgeous venue, and ideal location. I&apos;ve had the pleasure of working with Varlerie Martinez, Sales & Catering Manager, for RSC and she is beyond amazing. She has a great memory, organized, thorough in details, and extremely genuine. Her banquet staff definitely follows her lead as they too are wonderful to work with. The banquet staff is very professional and friendly. They have also gone above and beyond their call of duty to make my client weddings perfect. Rosen Shingle Creek does a spectacular job at putting together a five star wedding! 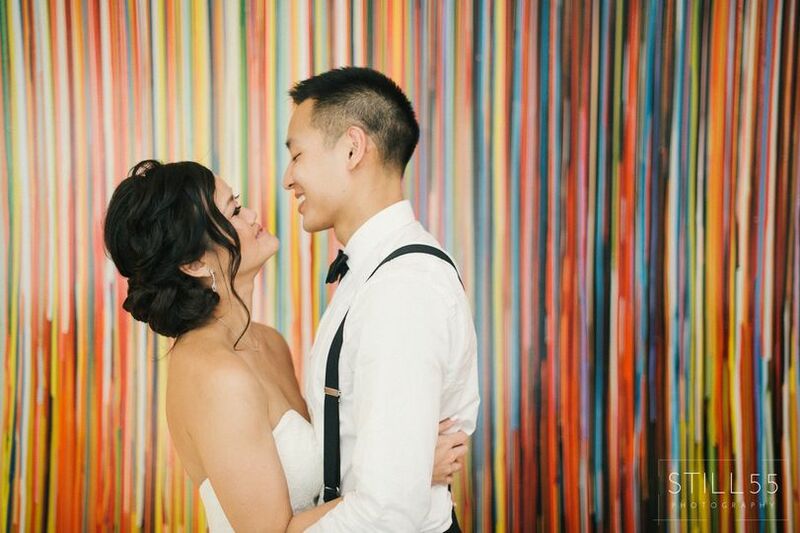 Every detail from food, cocktails, to the dance floor is perfectly in place. I was honored to photograph a recent wedding taking place in their large ballroom overlooking the golf course. Highly recommend! What an absolutely beautiful location! And the staff is ALWAYS professional and helpful. I highly recommend Rosen Shingle Creek for your Wedding!